City dwellers got a taste of the country last night at the Third Annual Country in the City concert. 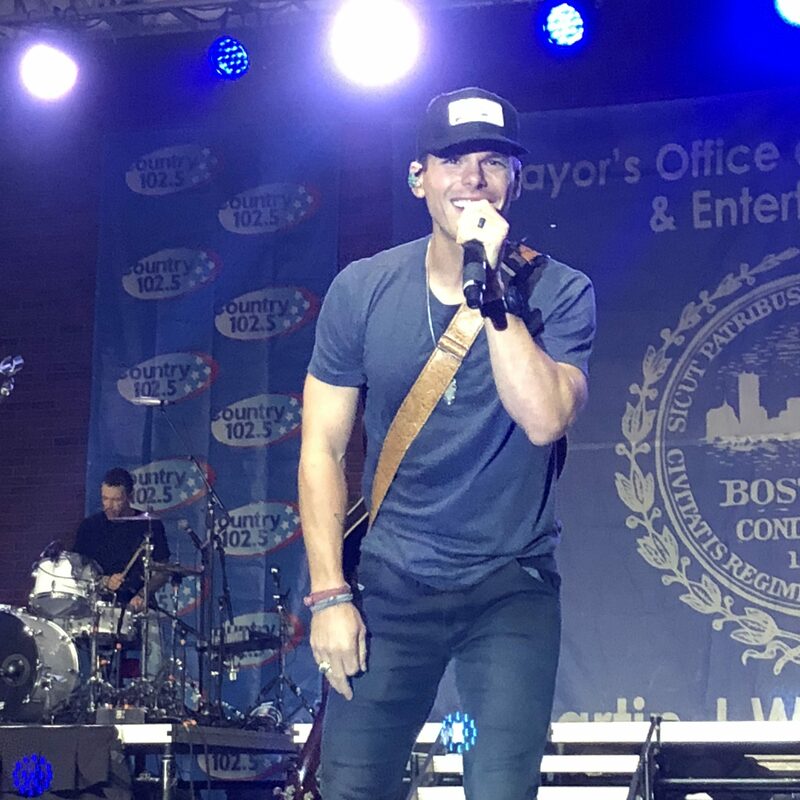 Country singer Granger Smith performed for an enthusiastic crowd gathered in City Hall Plaza. The free concert had fans in a near crush around the stage as they sang along to their favorite songs. After rising country star Jimmy Connors opened, Granger took the stage and spent over an hour singing his music. The native Texan began by singing Gimme Something and followed that with 17 other songs. Granger was a dynamo during his performance, waving flags, and even bringing a fan on stage for a selfie. Fans cheered as he got up close and personal with the crowd–giving high-fives and shaking hands towards the end of the concert. For his last song, Granger changed from his t-shirt and jeans into blue overalls and boots to perform The Country Boy Song. Made possible by the partnership of Mayor Martin Walsh with the Office of Tourism, Sports, and Entertainment, and radio station 102.5FM, the crowd left the concert with a little country in their steps.